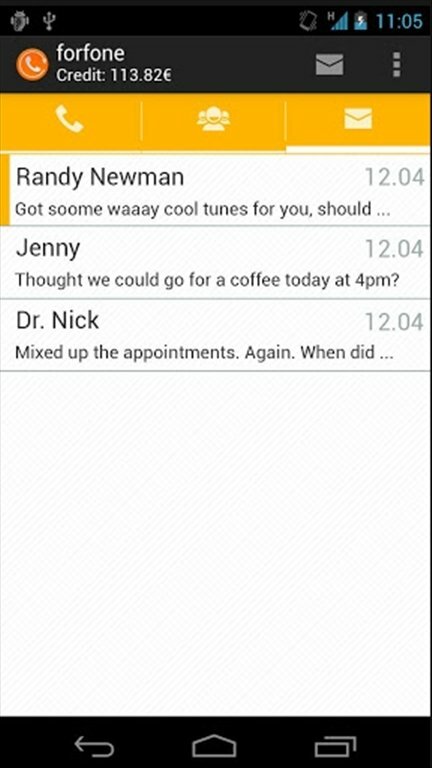 Instant messaging programs for mobile phones avoid the costs of sending SMS. 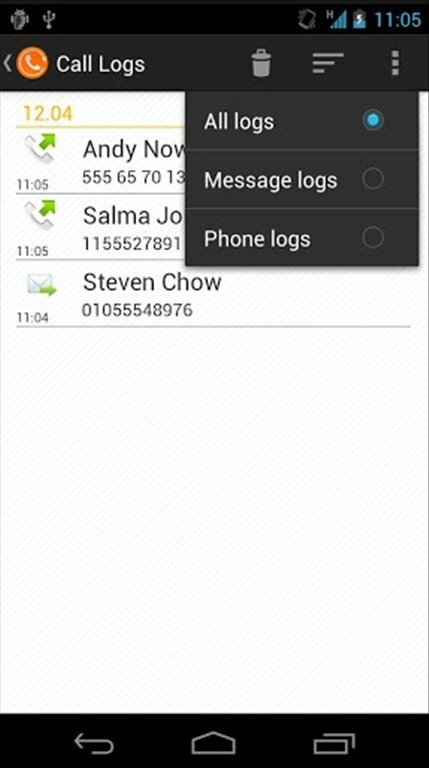 But with forfone, apart from messages, you can make free calls from Android. A VoIP that is easy to use. 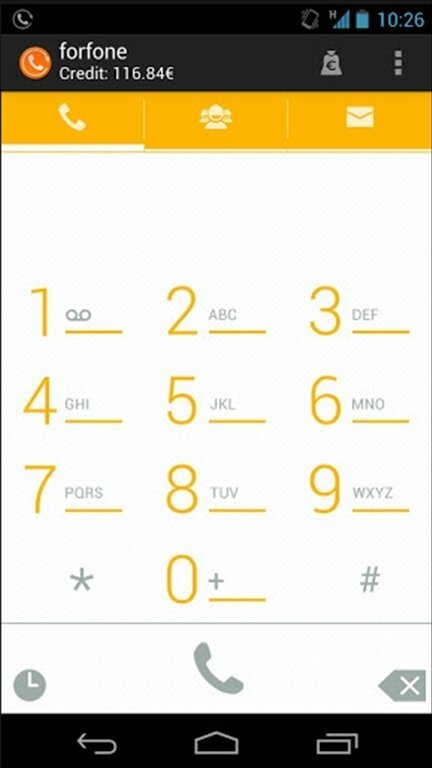 forfone doesn't require a complex settings. After receiving the service activation SMS on your phone, you can start calling, as you don't need any sort of registration or subscription. 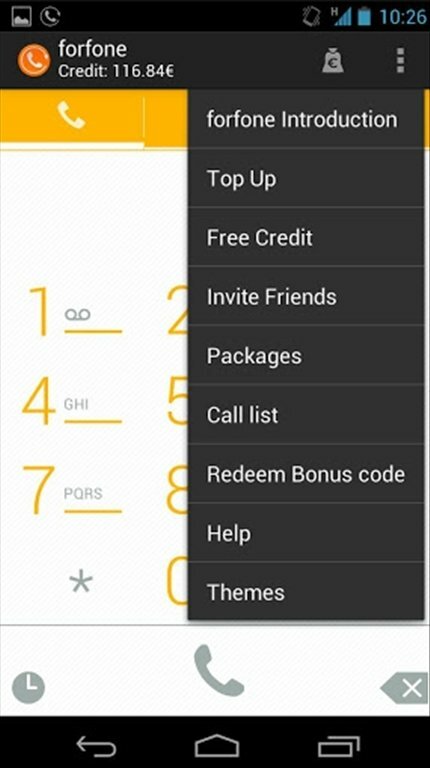 Free calls and messages between forfone users. Low rates to communicate with users that don't use this service. 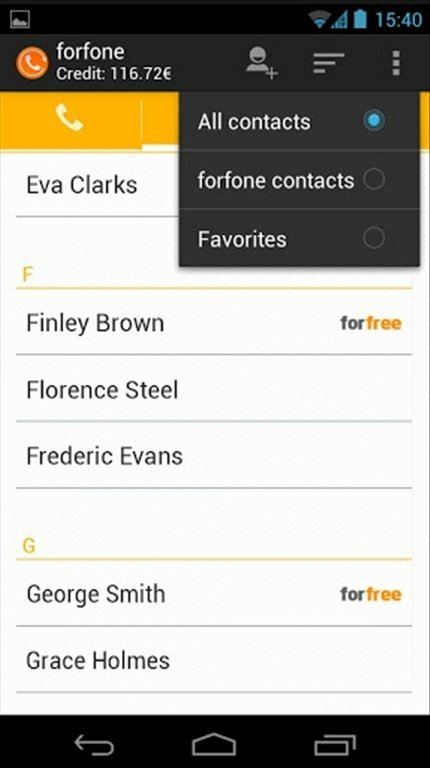 Automatic display of the contacts on your list that have forfone, with the forfree symbol. 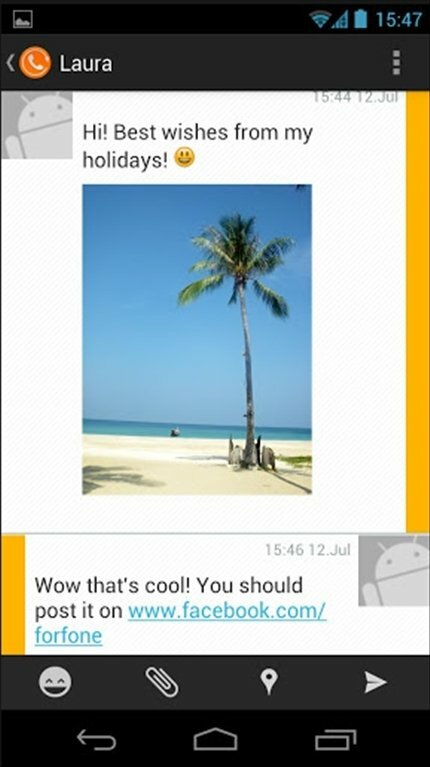 Send images, messages or your location and make calls for free by downloading forfone free for Android.